Whether you are a business owner, an executive, a new recruit or a sales person, LinkedIn training can benefit from you. LinkedIn is the largest professional networking site and it can help you boost your personal brand, connect with the right people and create meaningful relationships with the people you need to meet in real life. Francois Muscat, a digital marketing trainer in Johannesburg, is hosting several LinkedIn training workshops over the coming months. If you, your team or your company would like to learn how to create compelling profiles, identify the right people on LinkedIn, learn how to receive introductions and referrals and discover how to build relationships on LinkedIn, then sign up for the course today. During the LinkedIn training, attendees will learn all about the basics of setting up a profile and discovering information about people. Francois will also share practical tips on how you can manage your messages, content sharing and online presence. Becoming a LinkedIn wiz starts with learning the basics and then getting a clear-cut strategy on how you can use this powerful site to pick up on trends in the marketplace and become a powerful part of online conversations. 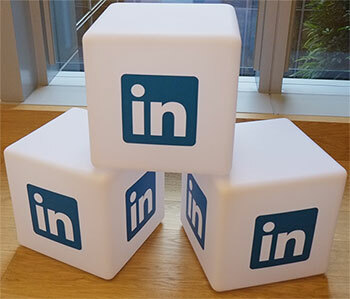 Contact us for more information about our LinkedIn training today.